Exploring the theme Nostalgia, we found ourselves at a fashion showcase in South Korea, at the Cheongdam Building Sky Lounge in Seoul to see designer Hyemi Song's new collection for her brand SEO DAM WHA. Beautiful models dressed in colourful opaque layers, performed a dance routine encircling the space, their lightweight dresses swishing and turning. 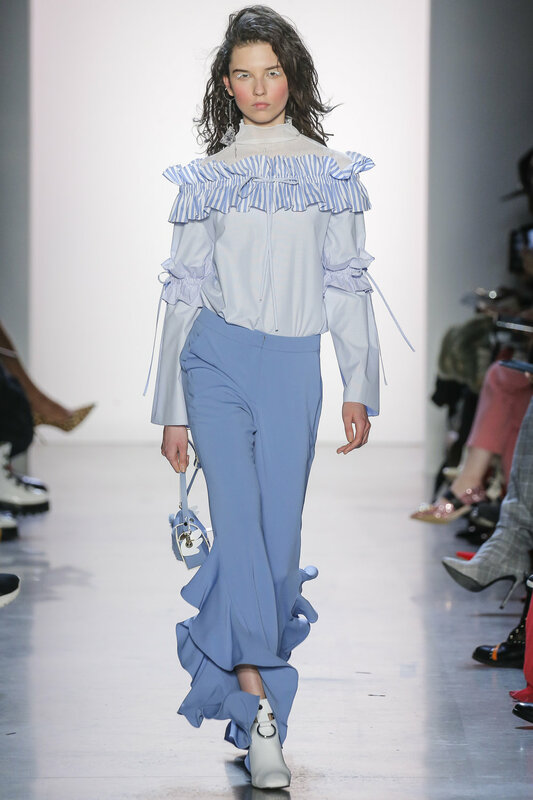 Concept Korea returned to NYFW to showcase two of South Korea’s most promising design talents, LIE by Chung Chung Lee and GREEDILOUS by Younhee Park. The fashion industry has taken notice of the growing South Korean infatuation that is emerging from Seoul. The city, now a permanent fixture in the industry, is responsible for influencing some of the most infectious trends and inspiring the biggest names in fashion. Concept Korea is a collaborative project to promote Korean fashion designers. This F/W 2018 season marks the organization’s seventeenth time showing at New York Fashion Week. First up, GREEDILOUS, a brand by designer Younhee Park. Park has previously showcased in Seoul and Paris, and was nominated for the 2014/2015 International Woolmark Prize. The F/W 18 collection was inspired by beauty in women represented with extreme glamour, the Palace of Versailles, and Marie Antoinette’s romantic style. Park revisited the vintage appeal of playing with beautiful patterns from nature to reinterpret Marie Antoinette as a fantastical creature representative of the brand’s unique identity. 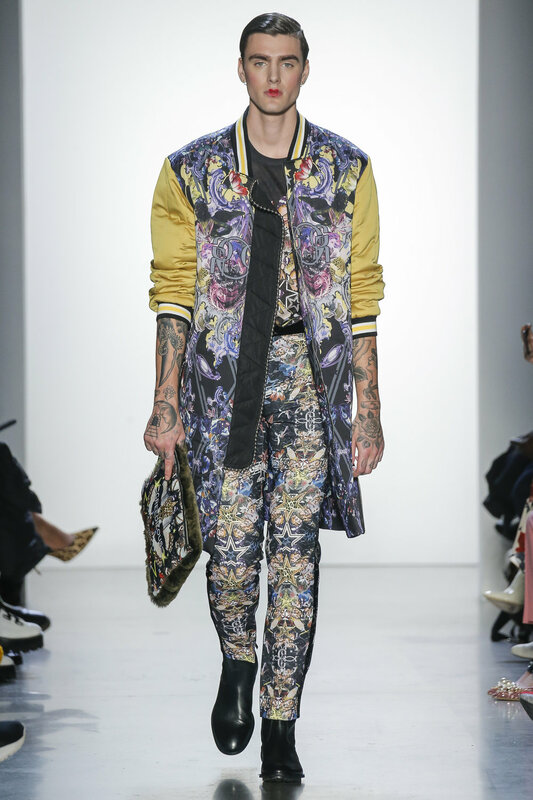 There is a beautiful mix of textures with vivid colours and bold graphic patterns following the Maximalist trend. Describing the look as ‘futuristic modernity’, Park creates a feminine style with masculine undertones that manages to be both classic and directional. LIE designer from Lee Chung Chung is the son of renowned designer parents who founded the legendary Korean fashion house LIE SANGBONG. Commencing his design career in menswear on the famed Saville Row under the guidance of the celebrated menswear designer Oswald Boateng, Chung solidified his tailoring skills, which eventually led to launching his own line. Inspired by the striking image of a wary polar bear stranded on a shrinking iceberg, LIE made its second NYFW appearance with the F/W18 collection, “GLOBAL WARMING; It’s not justICE.” The collection aimed to portray an important message that “it’s not just ice” that is affected from the devastations of global warming. This season, Chung strives to bring awareness to the collapsing unity between humans and nature with his clothes. Dusty pale blues are contrasted with bold rainbow colourways, and transparent PVC's are paired with soft furs for a unique and feminine collection.